Alhamdullelah, we finished Jolly phonic book # 5 (z,w,ng,v,oo, OO) . The progress in Jolly phonic book # 5 can be assessed on the skills checklist below. 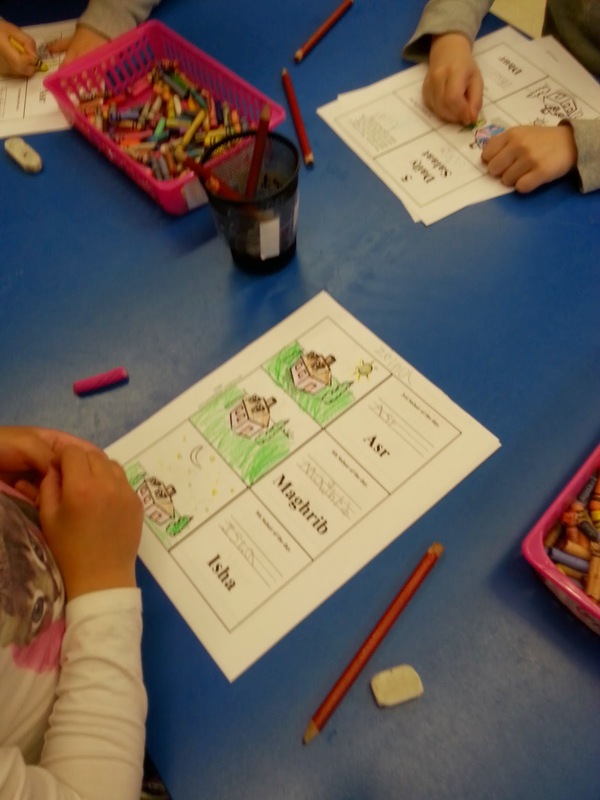 Can blend regular words with digraph. For example: (rain, ping, pie, moon). Can recognize capital letters and say the alphabet. Can also write regular words using the new sounds such as zoo, wind, van, sing, wait, book, hoop, room. Can put words in alphabetical order. Sk1 are doing an amazing job reading to their classmates. We are still in our fifth book of the guided reading. 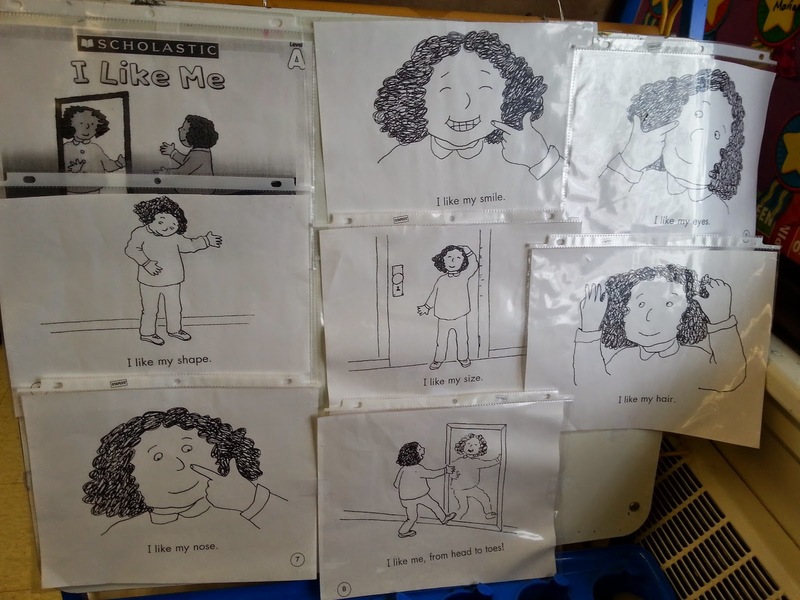 The book name is: I like Me! I like me, from head to toes! We finished our second book of the 2D shapes. 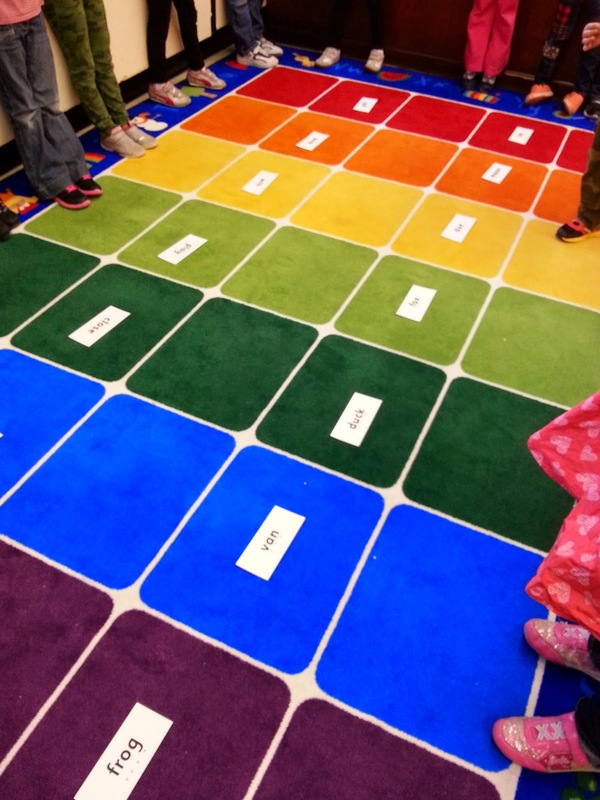 Next: We will start our 3D shapes unit. 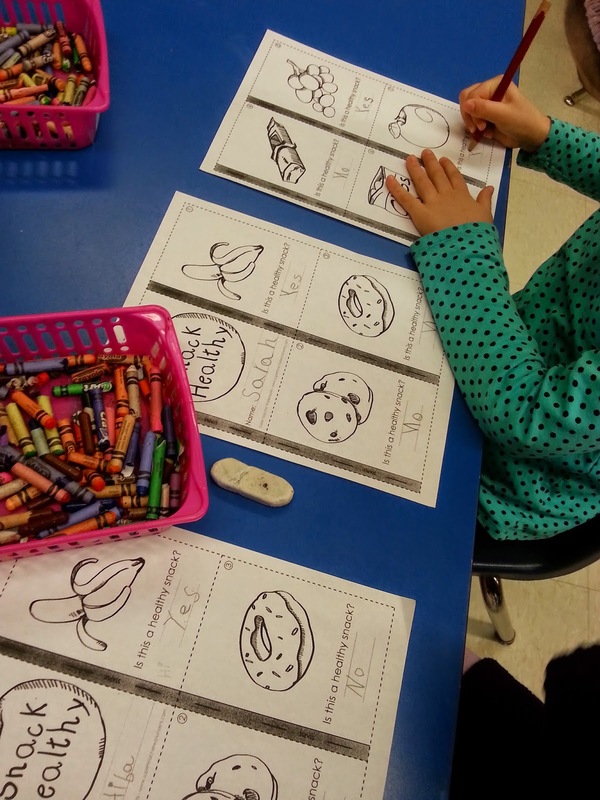 We finished one last book for Healthy snacks. We started a new unit on how to take care of our planets. 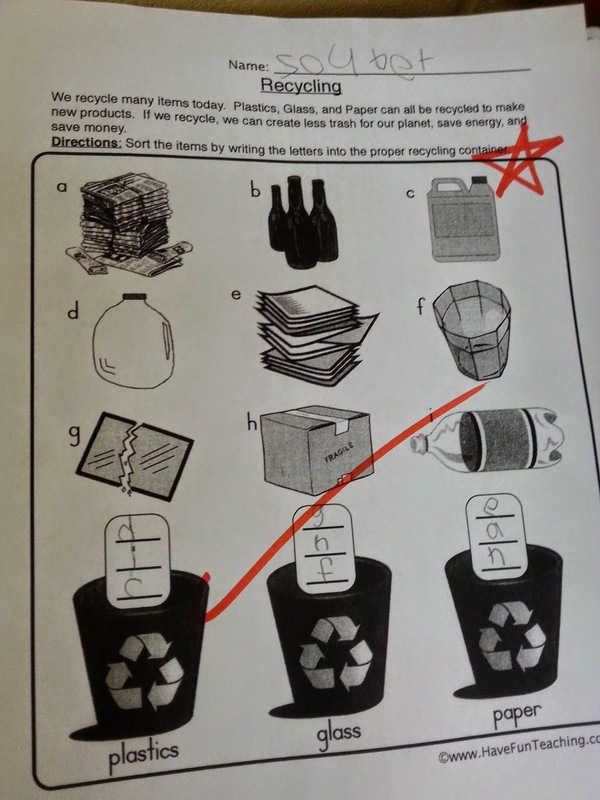 We learned about the three R'S: Reuse, Reduce and Recycle. We watched some educational videos which discuss this topic. We integrated art, science and math together. 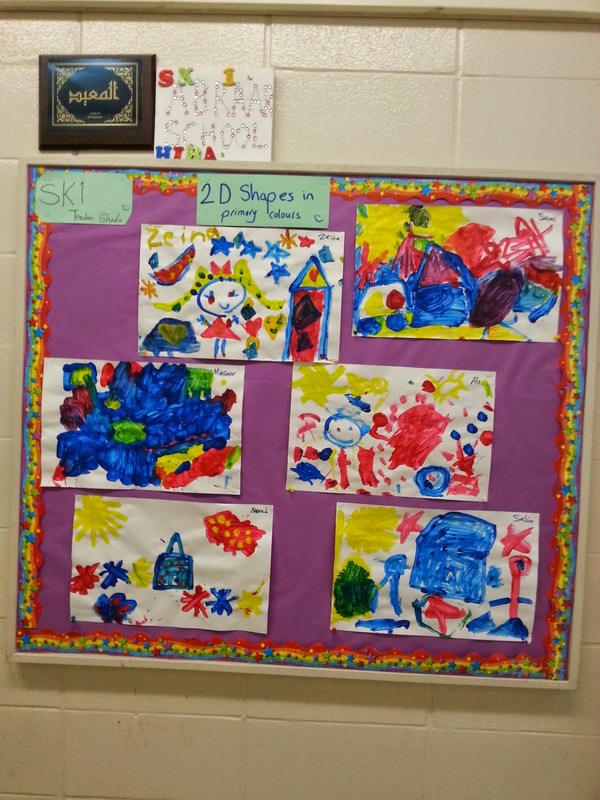 We reviewed the primary and secondary colours and we painted 2D shapes using the primary colours. Please check out our bulletin board. MashaAllah the SK1 managed to draw some beautiful buildings using the 2D shapes. Good job Sk1. We are still learning about Salah. 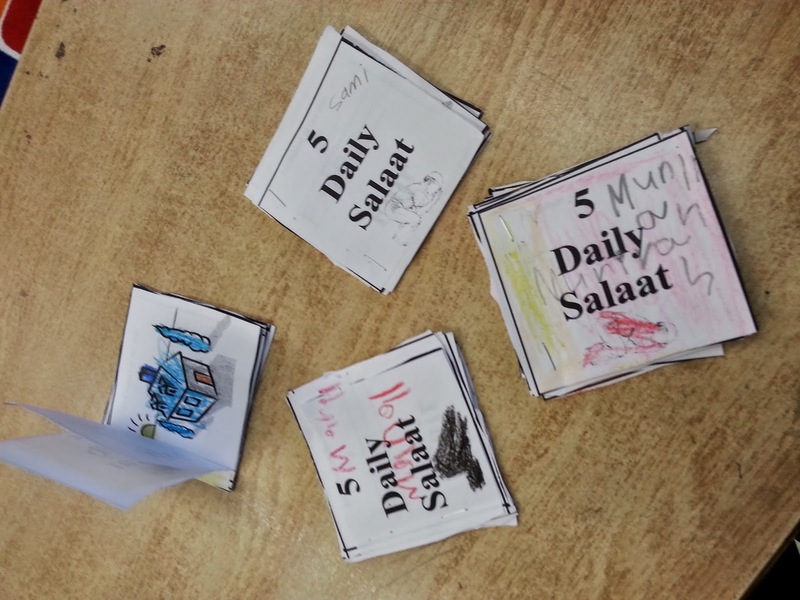 Masha'Allah, Sk1 finished their 5 daily prayer books.